A cross-country move requires careful choreography, and an experienced moving company can help you with that to create a stress-free moving experience! 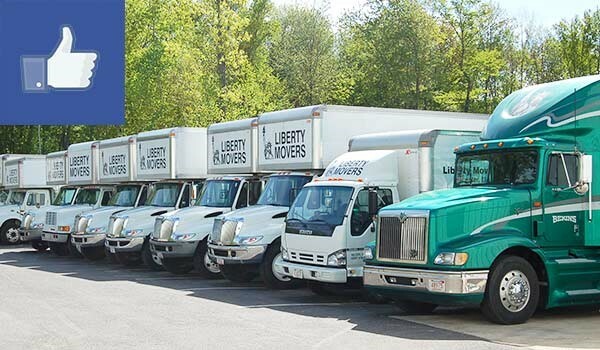 Liberty Movers is the oldest Worcester nationwide moving company, and we’ve been helping people make their moves for nearly 100 years! Our superior service has earned us many awards including the “Better Business Marketplace Excellence Award” from the BBB, “Agent of the Month” from Bekins, and many others. When you need reliable moving services, call the company that has provided trusted moving services since 1920! Full-Service Moving: When you choose our full-service moving option, we’ll take care of every detail from packing the first box to setting the last piece of furniture in place. Cost-Effective Prices: We offer a perfect mix of quality and value, and our custom moving packages make it easy to afford the superior moving services you deserve. Storage Solutions: Liberty Moving offers both short-term and long-term storage solutions in our secure warehouse facility. Exceptional Customer Service: Our customers come first, always. Our staff will do whatever it takes to ensure a successful, hassle-free relocation! If you’re planning a nationwide move, get a free price quote from our relocation experts. Give the Worcester residential movers a call today, or fill out our online contact form to request your free moving estimate from Liberty Movers.